In anticipation of a few more nights outdoors this summer, I decided to do a microadventure on the last Tuesday of spring. 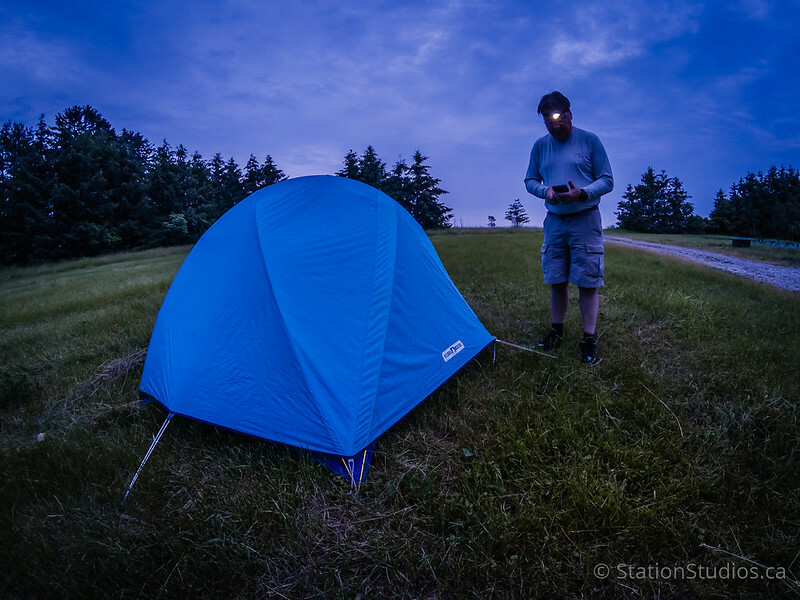 It had been a long time since I had my camping equipment out and I wanted to test it all out before going on some longer trips. I also wanted to practice taking photos with my GoPro Hero 5 as I am planning to use it as my sole camera on my upcoming Quetico canoe trip. I was pretty happy with the way the photos turned out, although I did chuck my GorillaPod tripod knockoff after the trip and bought a real one. 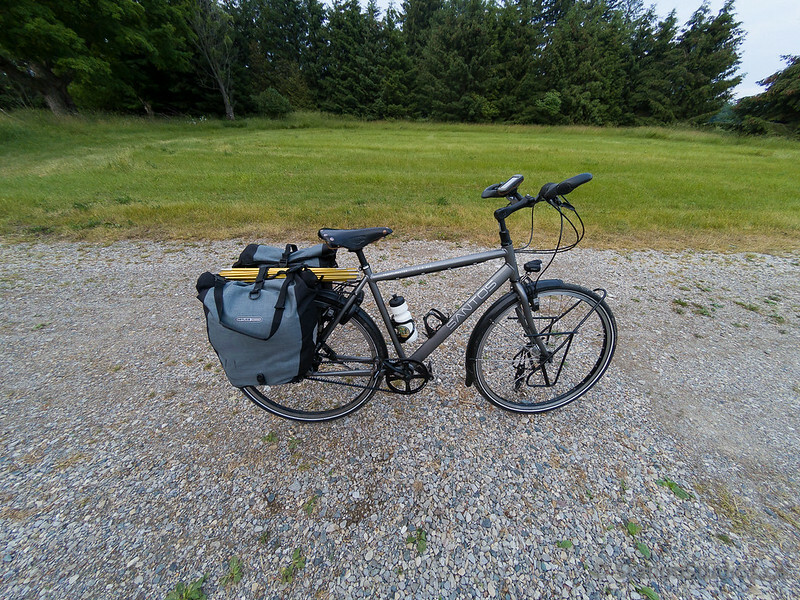 I loaded up my Santos Travelmaster with my 28-year-old Sierra Designs tent, a new MEC sleeping bag and a Thermarest pad and cycled the 10 km out to our farm after dinner. The cycle out was pretty straightforward. Along the way, I saw plenty of evidence of the previous night’s wind storm; a number of large trees were down along the roads. I arrived around 8 pm. A quick look around showed that we had escaped any major damage to our property. 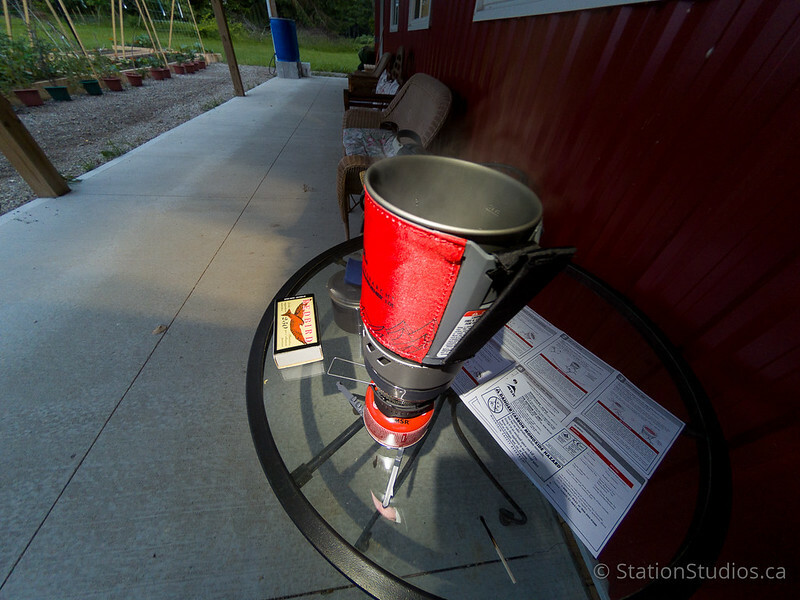 I set up the tent, rolled out my sleeping pad and bag, and practiced on some of my other new gear, like this MSR stove. Things worked the way they should. 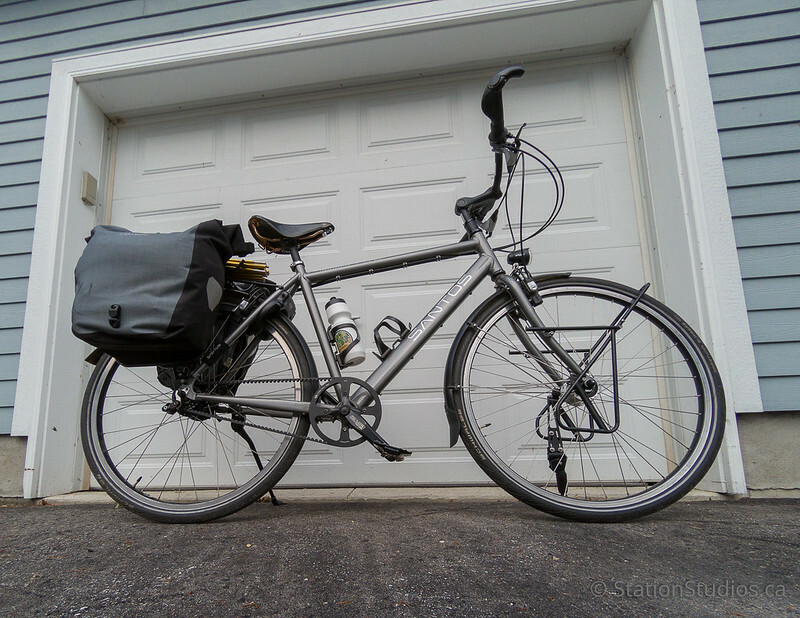 Around 9:30 pm, I decided to pack things in for the day as a light rain started to fall. I read for awhile, then listened to the sounds: rain, frogs, distant airplanes, rain, more distant airplanes… It was only around 1:00 am that the planes stopped crossing overhead. I read for awhile, then listened to the sounds: rain, frogs, distant airplanes, rain, more distant airplanes… It was only around 1:00 am that the planes stopped crossing overhead and the full sounds of nature came out. 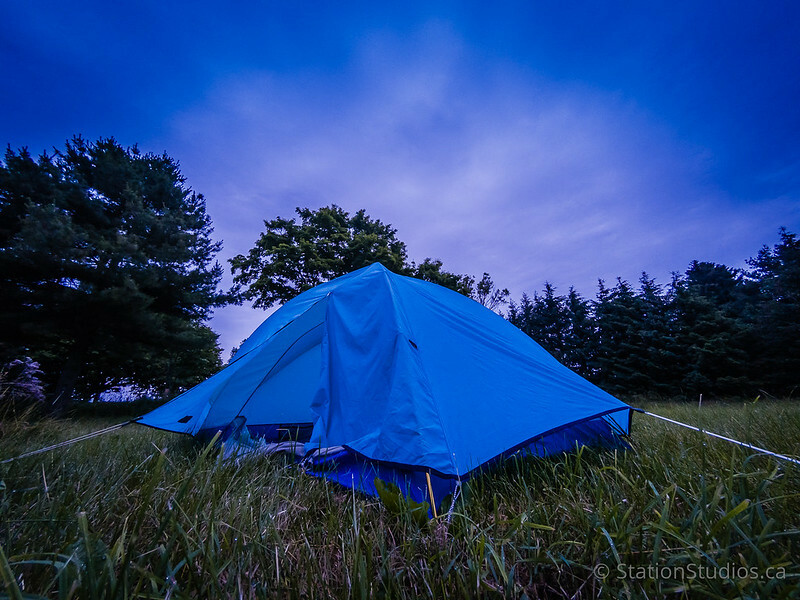 It had been a few years I camped out, so I slept in fits and starts. I think a deer came close to the tent around 3 am, but a quick flash of light scared it off. The birds awoke me at 5:00 am and I broke camp around 5:30 am. As seen in the lead photograph, there was no stunning sunrise, but there was no rain either. A 30 minutes cycle had me back home for a shower, breakfast and an 8 am start to my work day. Just what a microadventure is supposed to be.